Home » News » Characteristics of Remote Persistent Memory – Performance, Capacity, or Locality? 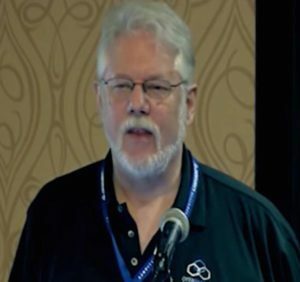 In this video from the 2019 OpenFabrics Workshop in Austin, Paul Grun from Cray presents: Characteristics of Remote Persistent Memory – Performance, Capacity, or Locality. Which One(s)? Persistent Memory exhibits several interesting characteristics including persistence, capacity and others. These (sometimes)competing characteristics may require system and server architects to make tradeoffs in system architecture. A sometimes overlooked tradeoff is in the locality of the persistent memory, i.e. locally-attached persistent memory versus remote(or fabric-attached) persistent memory. In this session, we explore some of those tradeoffs and take an early look at the emerging use cases for Remote Persistent Memory and how those may impact network architecture and API design. Paul Grun is the Open Fabrics Alliance Chairman and a member of Cray’s Advanced Technology Group. During his more than 30 year career he has been intimately involved in all aspects of server I/O beginning with storage for large mainframe systems, turning to high performance network architecture and now focusing on applying I/O technology to building large scale systems at Cray Inc. His association with advanced networking technology stretches back to prior to the emergence of InfiniBand when he represented Intel to the InfiniBand Trade Association (IBTA). He has served as chair of the IBTA’s Technical Working Group and as chair for the working group responsible for creating the RoCE (RDMA over Converged Ethernet) specifications. He is currently active representing Cray as a member of the IBTA’s Steering Committee. Paul has also been influential in the OFA since its inception in 2004; in addition to his current role serving as the OFA’s Chair, he is serving as the co-chair of the OpenFabrics Interfaces Working Group (OFIWG) and as chair of the Data Storage / Data Access Working Group.